Because every home we as Real Estate Agents list should be displayed as the showcase that it truly is, it is important to enhance them to help them stand out from all the other places your listings show. For that, we've made it super simple! We call it our Strength Meter which is a cheat sheet of sorts that measures the strength of your property marketing and helps you to know what has and hasn't been done on your listings. Do you need Panoramics, Documents or to Post to Craigslist? Our strength meter will help you stand out and make sure that you are making your marketing the true best it can be. 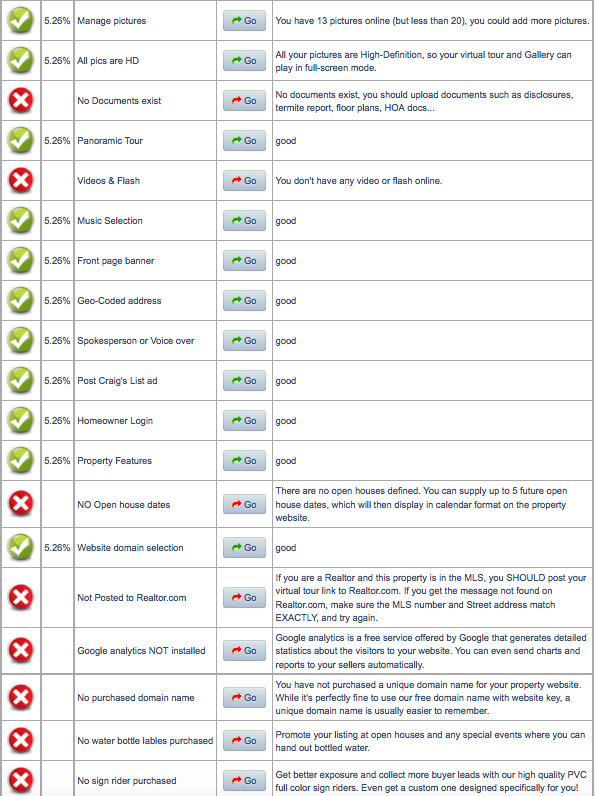 As easy as Green is Good, Red is bad...our Property Marketing strength meter can make you a Listing Super Star! Gabriel Gandelman (nmls# 347184) with Imperial Mortgage Group, Inc.